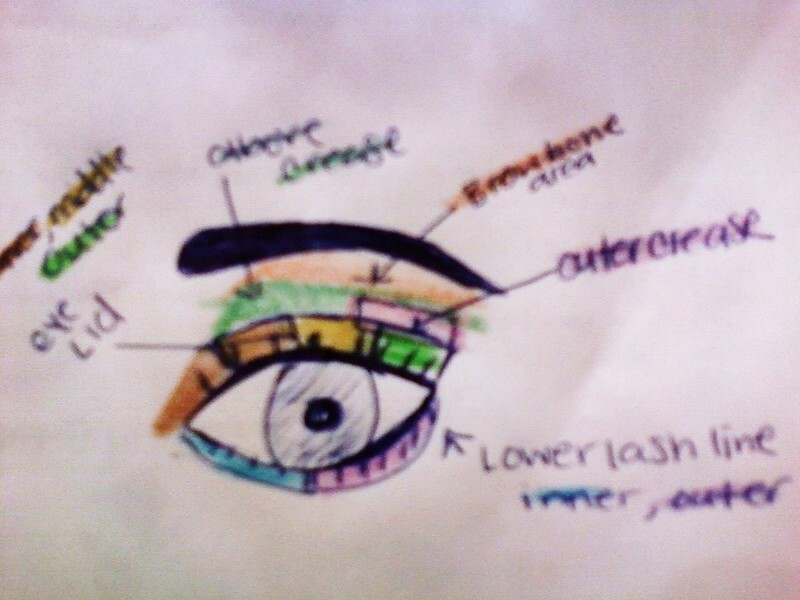 first well you need to know the basic parts of your eye area. -inner (closest to tear duct) which is the first shadow you apply and you would do so to the whole eyelid you should apply a shadow darker than the one in the brow bone but lighter than the rest of the eyelid which will provide that gradient effect. --the middle lid is where you slightly intensify the color more, adding a bit of a shimmering shade to this area will provide dimension to the eye.this should be the second eye shadow you apply and should be applied from the middle of the eyelid to the outer eyelid. -The outer which shares upper half with the outer crease is the area in the lid that should be the most intense since you share half of that section with the outer crease. Okay that was a lot of explaining to do! thanks sooo much! this helps... a lot! Thanks again!